Thibaud Lassalle is a journalist based in Nice, France. Graduated in journalism from University of Nice Sophia-Antipolis. Involved as a fixer in several documentaries and events in Indonesia. Writing experiences in music, sports, tourism and politics for online and printed media. Skyper for CBC NEWS (Canada) on December 3rd 2017 following the eruption of Mount Agung in Bali, Indonesia. 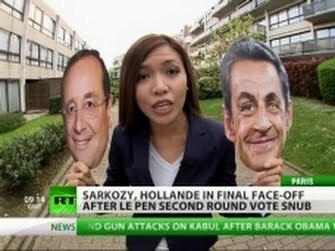 Interviewed by Russian Network RT ahead of the 2012 french presidential election. Article in french for the french magazine Valeurs Actuelles. Written while based in Indonesia in 2017. Published on the website and print version of the magazine. 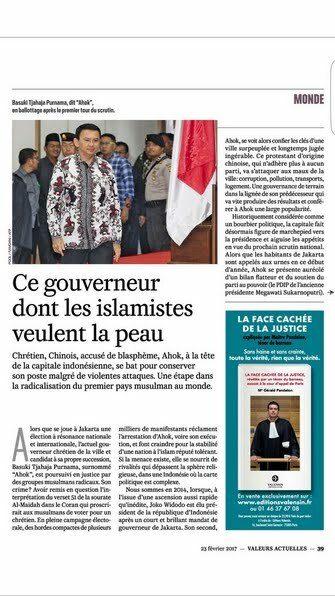 Content describes situation in Jakarta ahead of governor election, and my views of the whole political picture. Headline and lead are editor's choices.